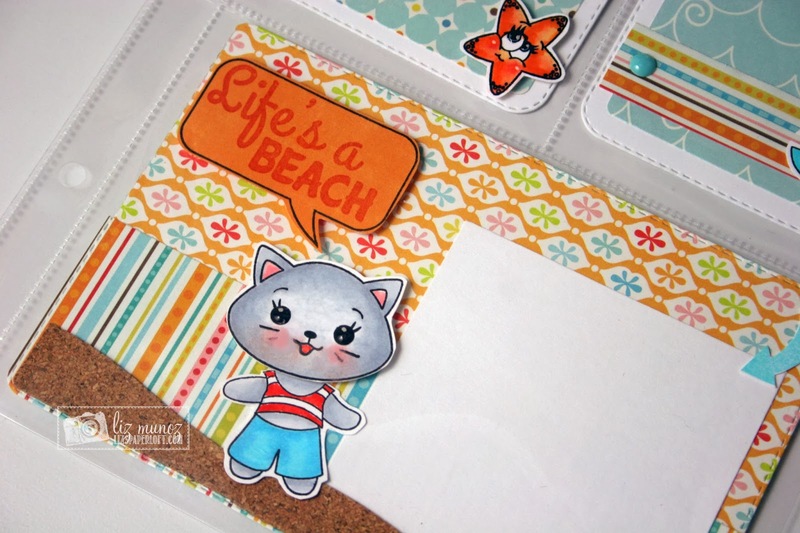 Liz's Paper Loft: PKS Color Challenge 14-02 ~ Life's A Beach! Hellooooo! 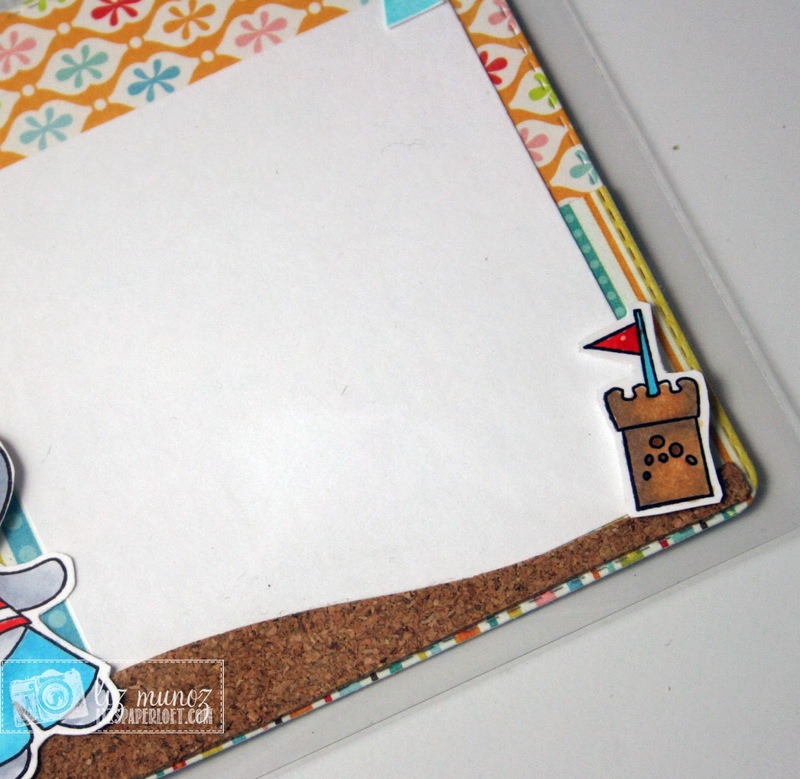 It's time again for Peachy Keen Stamps Color Challenge! Being challenged to create something only using certain colors can be a challenge...hence the name :). However this one was such a breeze! Maybe because I'm ready for warm weather! Even though here in California we are at the beginning of a drought, it's been a really COLD winter! Since I've been making so many cards recently, I was up for making a "PL" style cards. 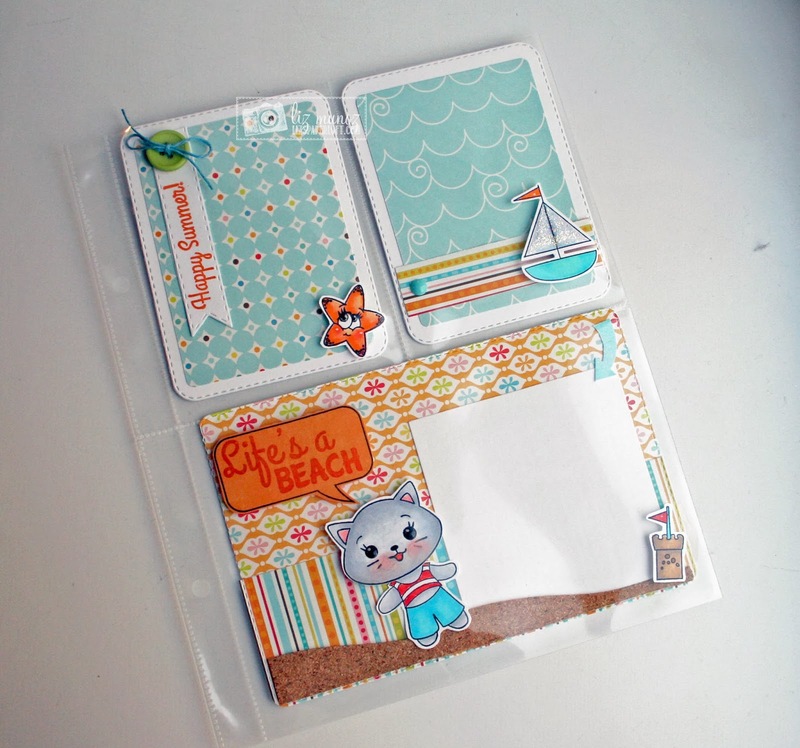 I picked up the smaller size pages to use in my 12x12 album in between when a two page layout isn't enough. Mixing the sizes in the same album is a nice look! 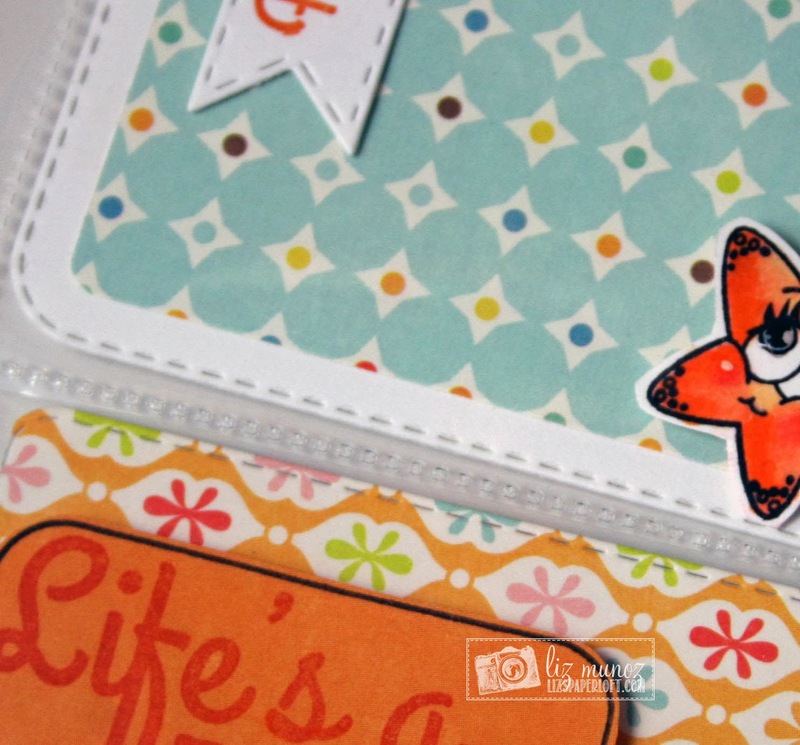 Aren't the eyes on the star fish just ADORABLE! Me and my bling...couldn't leave it off so I added it to the sail! For added texture I used a small amount of cork. And this darling boy kitty is the perfect touch! 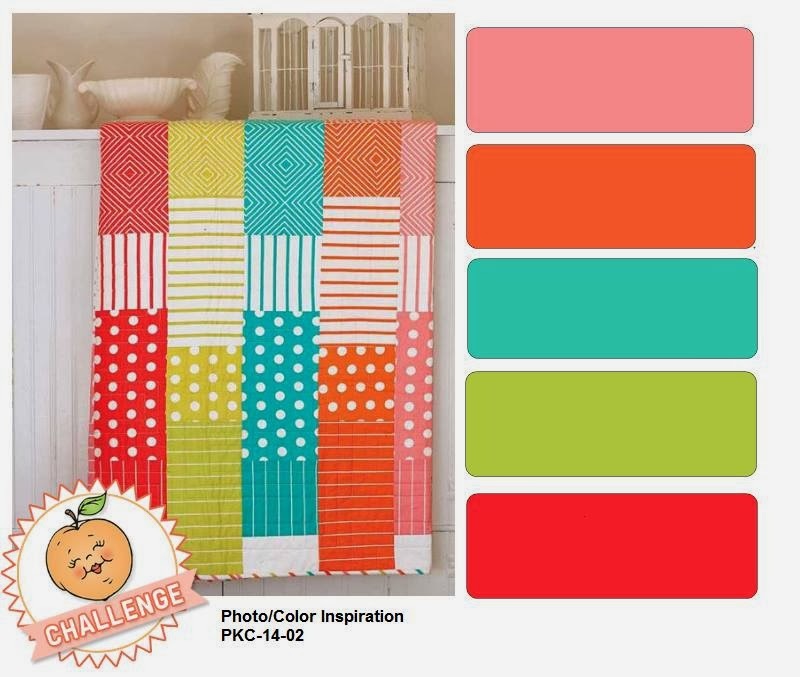 So pull out your bright colors , click HERE for some inspiration from the other girls the DT and join our challenge! You did a fantastic job!!! Love it! 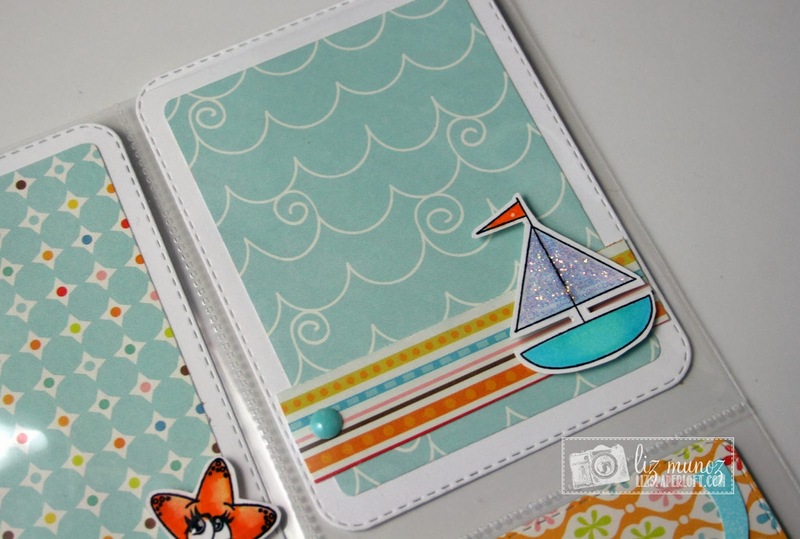 Liz ~ the colors, the stamps your coloring and the papers are seriously PERFECTION!! 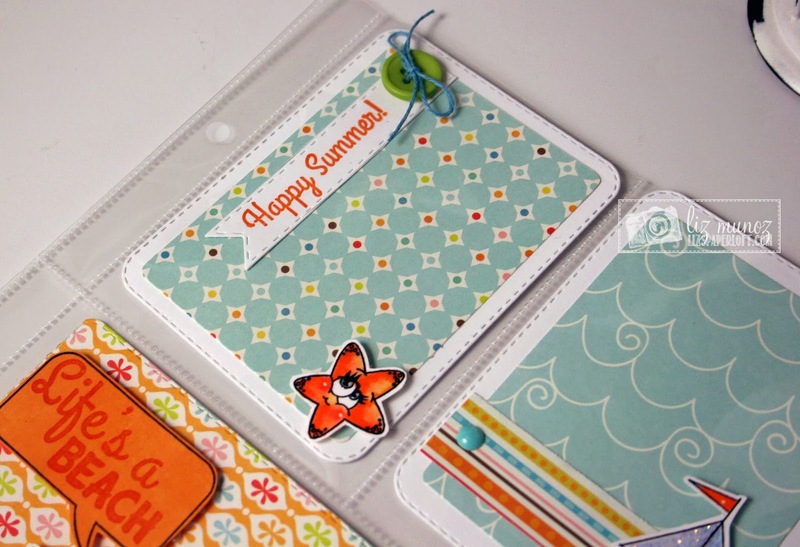 Always so tastefully done too!